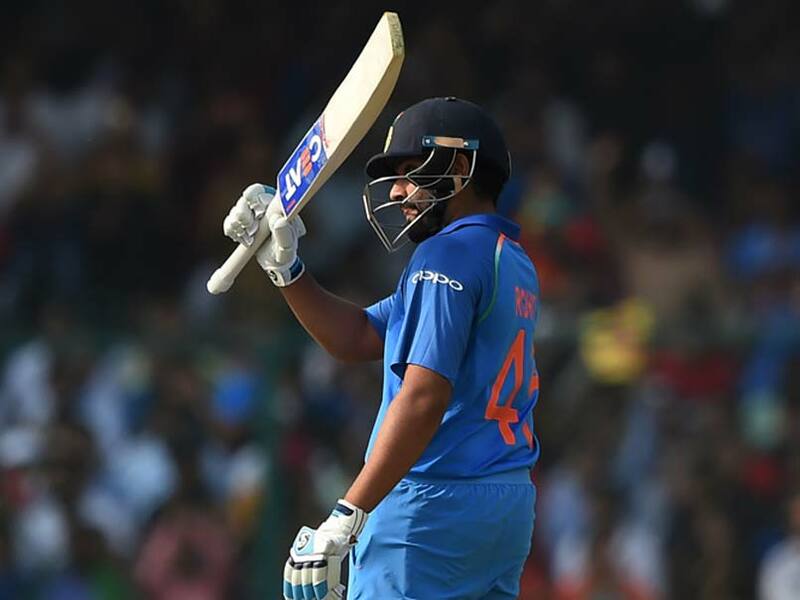 Rohit Sharma brought in his 15th ODI century in the third and final ODI against New Zealand in Kanpur on Sunday. He became the second batsman after Virat Kohli to ring in five centuries in ODIs in 2017. He reached this milestone off 106 balls. His power-packed innings was adorned by a total of 11 fours and 2 sixes. The Mumbai batsman also ticked off the 150 mark in sixes in ODIs. With a total of 15 hundreds, he is now behind Sachin Tendulkar (49), Saurav Ganguly (22) and Virat Kohli (31) when it comes to the highest number of centuries. "Rohit sharma has already got 5 hundreds this year, why is he celebrating so much"
-Sanjay Manjrekar, Indian cricket's Mother in law. UNESCO declares Rohit Sharma as most talented batsman in the world. A century by Rohit Sharma is always an occasion because there are few better looking batsmen than him in the game. This has been a treat.